UConn Extension with CitySeed of New Haven and its BuyCTGrown.com project are excited to celebrate their first full year growing the ‘buy local’ movement. Since its launch in August 2013, the CT 10% Campaign’s consumer and business pledgees together have tracked over $800,000 spent on locally grown (raised and caught) products. With over 400 consumers and 100+ business partners, the movement is growing! For a list of the 10% Business Partners, visit www.buyctgrown.com/pledge-­‐partners-­‐0. Taking the Pledge and buying local from farmers, nurseries, restaurants, and businesses has never been easier! In addition to the 10% dashboard displaying the Campaign’s stats, the buyCTgrown website has become an online hub of CT agricultural news, events, features and products by zip code. Now that it’s peach, pear, plum and apple season, buyCTgrown is excited to be promoting their limited edition Pick Your Own crop cards. These cards feature Sing Along Songs, fun facts, and a delicious recipe and can be retrieved from participating farms, as listed on the website. Collectively, CT residents spend 2.5% of their food purchases on locally grown products. The CT 10% Campaign hopes to engage consumers and raise individual local purchases up to 10%! By taking the Pledge, participants are encouraged to spend 10% of their food and gardening dollars on locally grown. 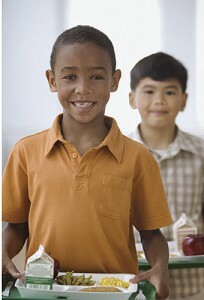 The CT 10% Campaign is funded generously by USDA, CT Department of Agriculture and private foundations. How many of us really have the ability to grow all the fresh produce we need for a year? Just having a back-yard vegetable garden can be a luxury. Some of us don’t have the yard, the time or maybe even enough sunshine, to produce enough fruits and vegetables to sustain a family of two, four or more for a few summer months, let alone a whole year. So we are left to make regular trips to the grocery store and ponder one of the great questions in this 21st century life: local, organic or …..whatever? The recent outbreak of E. coli sourced to California spinach has further fueled the debate. Conventional growers pointed the finger at the “organic” practices of the spinach grower; smaller, local growers everywhere were assuring customers that their product was “safer”; and consumers just got more confused. Fruits and vegetables can be local and organic; local, not organic, but grown with sustainability in mind; imported and organic; grown in California using IPM practices (Integrated Pest Management), etc. 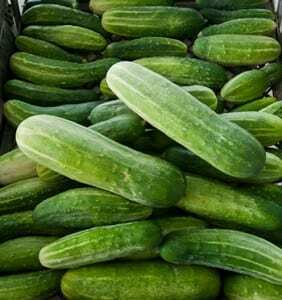 First of all, it is important for buyers and consumers of produce to understand the words being used to describe fruits and vegetable growing practices these days. Of, or relating to the city, town or district rather than a larger area. Choosing locally grown foods can also mean buying fruits and vegetables (and sometimes other foods) that are in season, forgoing the winter peaches or asparagus in your superstore produce section. A system of farming that maintains and replenishes soil fertility without the use of toxic and persistent pesticides and fertilizers. Organically produced foods also must be produced without the use of antibiotics, synthetic hormones, genetic engineering and other excluded practices, sewage sludge, or irradiation. Cloning animals or using their products would be considered inconsistent with organic practices. SustainableMeeting the needs of the present without compromising the ability of future generations to meet their needs. In agriculture, this can mean using natural pest control methods and fewer pesticides, choosing practices that improve soil; and considering environmental health, economic profitability and social responsibility when making practice choices. While we all debate the virtues of the local Stop and Shop or Shaw’s; or whether it makes sense to drive 20 miles to the nearest Whole Foods store or Trader Joe’s, more Connecticut residents are thinking about how and where the food we buy from these stores is grown and produced. Almost 25% of Americans are now choosing to eat foods produced organically at least some of the time. 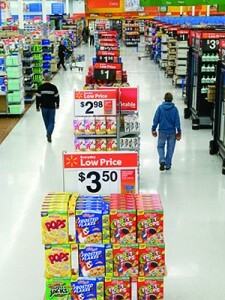 The demand is so high that now the “big box” stores have jumped on the organic bandwagon. And this makes some people nervous. They are concerned that this will lead to yet another type of industrial-size farm (this one producing foods organically) that still trucks its product thousands of miles away. The cynics among us also worry that the economic clout of these corporations may lead to a watering down of current organic standards as it gets more difficult to meet the demands for produce defined by the current rules. Depending on where you live, it can be difficult to find organic produce all of the time. In some parts of the country, including Connecticut, the climate can make organic practices impractical for some crops—especially when growing strawberries or apples in a rainy spring or humid summer. Some farmers can’t afford the time or funds needed to become a “Certified” organic grower, but do strive to do as much as they can. Integrated Pest Management or IPM is used by many Connecticut farmers who choose not to go down the organic road. IPM is defined by the National IPM network as “a sustainable approach to managing pests by combining biological, cultural, physical and chemical tools in a way that minimizes economic, health, and environmental risks.” Farmers make their living on the land and are as worried about the health of the environment (and their children) as any one else. Following IPM practices helps them to minimize the use of chemical pesticides. What about choosing locally grown fruits and vegetables over the organic stuff trucked in from California or Chile? The arguments seem to be getting stronger for buying local. Gas prices and the limits to petroleum resources encourage some to question the wisdom of getting organic grapes from South America in December. My favorite reason to choose local is to support the Connecticut, or at least, the New England or Northeastern farmer. Someone once told me that it wouldn’t be long before all of our milk came in boxes from California or Wisconsin…and we would pick it up from an unrefrigerated aisle in the local supermarket. Yum. I now buy milk produced by Connecticut dairies whenever it is available. I like to see the farms along my trips on I91 through the Connecticut River valley. I like to visit the New Haven farmers’ markets and Hindinger’s farm stand in Hamden. I’ve come to know a lot of local farmers and hope that my business will help to keep them in business for a long time. Eating local supports the local economy—more dollars spent here stay here. Locally grow produce is fresher, giving you more taste and more nutrition for your dollar. Locally grown produce is usually picked at the peak of ripeness (just think farm fresh peaches versus those in the supermarket). Buying local keeps us in touch with the seasons. How hard is it really to forego the bland, dry, tough winter strawberries from California? Wait for the farm-fresh crop during June or freeze some to use in the winter months. Local farmers grow can grow unusual varieties and meet the cultural food needs of the local population as it changes. Successful farmers stay in business—preserving open space. As to whether organic or locally produced foods are “safer” or more “healthful” or nutritious is a question that science has not answered definitively. You can probably find research and scientific journal articles to support any side of the argument. Fresh produce does experience losses in nutritional value and quality once it is harvested. So it makes sense to eat it as soon as possible after picking. But whether this is significant to an individual’s nutritional health is unclear. Some would argue that if we all had to rely on local family farms in this day and age, we would all starve. That may be true. When it comes right down to it—we are lucky to have the opportunity in this country to choose for ourselves if we want to buy local, organic, both or neither. Connecticut residents generally have dependable access to food, but the picture is not all rosy. A new study by the University of Connecticut’s Zwick Center for Food and Resource Policy and Department of Cooperative Extension, 2012 Community Food Security in Connecticut: An Evaluation and Ranking of 169 Towns, evaluates the state’s capacity to address food security challenges and provides a guide for policy makers on how to get food resources to the state’s residents most at risk. A town-by-town representation of the risk that a resident is food insecure. 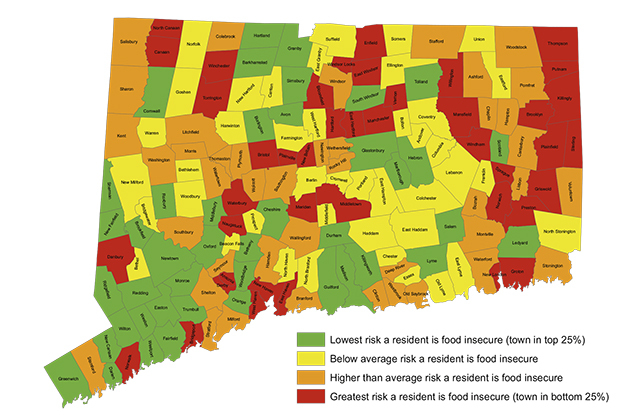 The UConn study focuses on a town-level assessment of factors affecting the state’s “food security,” a socioeconomic term that defines easy access to safe and healthy food. “Although it is extremely difficult to pinpoint where food insecure households are located, one can look at certain variables such as location of food retailers, bus routes, and participation in public food assistance programs to draw comparisons on a town-by-town basis,” says Jiff Martin, a sustainable food system associate with UConn’s Cooperative Extension System and co-author of the study. Conducted by UConn researchers in cooperation with the Connecticut Food Policy Council, the study updates a previous UConn report in 2005 that was the first to examine community food security in the state. After seven years, the current report offers a new assessment of community food security that should be of interest to town planners, and civic, environmental, and public health authorities seeking to reduce disparities in access to healthy food across the state, say the study authors. 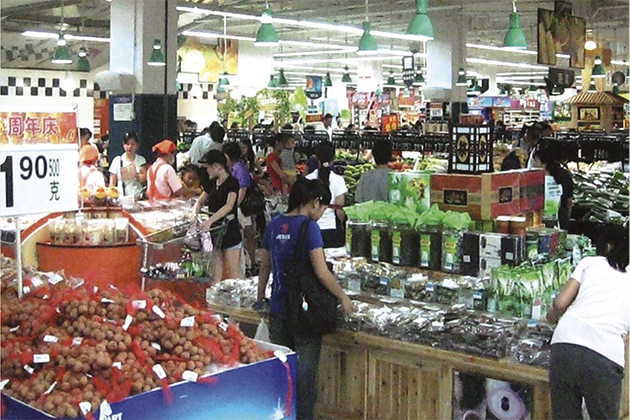 The study also evaluated the proximity of each town to food retail stores. To define “community,” the study adopted the boundaries of Connecticut’s 169 towns and created three rankings to examine each community’s food system: population at-risk for food security; retail food proximity; and public food assistance programs. Each ranking combines several variables into one discrete measure that is used to assess each town’s capacity to provide its residents access to healthy food. For the first ranking – population at-risk – the measure includes a town’s population mix using poverty and unemployment rates, and socioeconomic characteristics such as income, vehicle ownership, educational attainment, and number of children per household, to determine the likelihood that a town’s residents might be food insecure. The food retail measure considers each town’s proximity to food retail stores and the variety of food cost options these establishments make available to a town’s population. Given residents’ ability to shop for food in neighboring towns, this measure considered not just the closest food retailers, but all retail options within a 10-minute drive from a town’s population center. Another measure looks at how well served residents are by public food assistance programs. The food assistance ranking measured how well a town’s residents are being served through public food assistance programs, and whether public bus transportation is available to provide people access to food resources. To interpret the rankings, if a town is identified with a large population at-risk for food insecurity, for example, then it can examine how well it is providing for its residents through both access to food retailers and whether residents are being served through public food assistance services and public bus transportation. The study maps all of Connecticut’s 169 towns to provide a visual picture of each town’s performance. The maps will be useful for comparing needs and performance between towns, notes Adam Rabinowitz, senior researcher with UConn’s Zwick Center for Food and Resource Policy and co-author of the study. Given that Connecticut has towns with vastly different sizes, the study also created five categories of town size – based on population – and ranked towns within each category to compare towns of a similar size. Maps of the rankings based on town size categories are also available on the study’s website. The food retail measure considered not just the closest food retailers, but all retail options within a 10-minute drive from a town’s population center. The study should be of interest to town leaders, anti-hunger advocates, and community groups seeking to improve access to healthy food in Connecticut, notes Rabinowitz, adding that growing public interest in safe and healthy food is fertile ground for policy makers to focus attention on the goals of community food security.